In an effort to reduce our dependency on foreign oil, the U.S. has been working to ramp up its plant-based ethanol production in recent years, and while we’re falling short of Congress’s 500 million gallon goal for 2012, things are on the up and up. Just this week, the Department of Energy announced a $105 million loan guarantee to build a plant in Iowa that will produce up to 25 million gallons of cellulosic ethanol each year. The plant, being constructed by POET, will be the first commercial-scale of its type, and would work with local farmers to process more than 700 million tons of non-food corn waste into fuel. “This project will help decrease our dependence on oil, create jobs and aid our transition to clean, renewable energy that is produced here at home,” said U.S. Energy Secretary Steven Chu. The loan from the government is the first by the Energy Department for the production of cellulosic ethanol. Most of the United States’ ethanol is made from corn, which many critics say is a waste of valuable food. 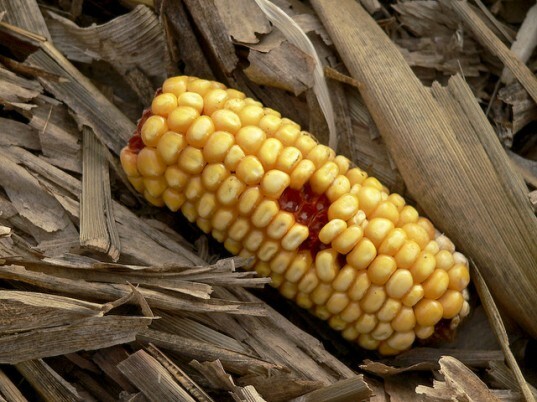 But the new plant would use only the non-food parts of corn: the cobs, the husks, and the leaves. POET is already a major producer of ethanol made from corn kernels (they have 27 plants in operation), and since 2008, they have run a pilot plant using the other parts of corn. But the pilot plant only converts one ton of biomass a day, so POET has some technical issues to solve in terms of scaling up their production to be able to handle the expected 700 million tons. The new plant is expected to produce enough fuel to power itself and supply some energy to the corn ethanol plant next door. If the production of ethanol from corn waste can become economical, it would be a huge boost for the United States in a number of ways. It would reduce the amount of edible corn used to make fuel, and it would vastly increase the country’s potential to make motor biofuels, thus decreasing our use of fossil fuels. 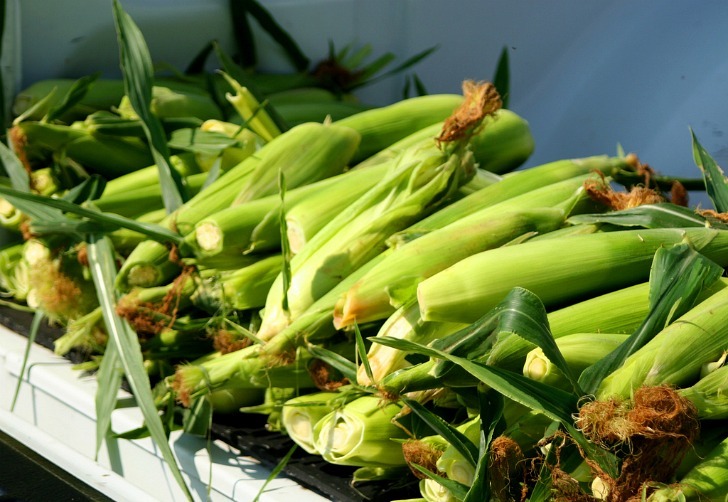 If POET finds success using corn waste in the new plant, the Energy Department hopes that it will spur other plants and ethanol producers to do the same. Why is the Governmen t spending money to built something Green power Inc already has built since 2008, completely without Government funding, grants etc. The US Military even tested us and confirmed it works and it works on Biomass as well as regular Waste and is profitable on its own does not need Subsities. All we fight is local Politics. But yes we made real Fossil Free Liquit Fuels from Biomass and Waste and you can use it immediately in Engines etc, no blending needed. All we can say it is already done, dont waste monmey on more reseach let finished non governmental funded Process be implemented in USA, and stop Washibngton State local Politics from costing us Money we can use much better and safe us as a nation by elimintaing most of our Imports of Fuel from foreign Nations. Green Power’s proprietary waste to energy system can handle all forms of discarded material that normally would end up in a landfill. From that material, Green Power’s system quickly outputs an economic fuel of a high quality that can be used immediately in diesel burning engines. Most importantly, the company has constructed a fully functional waste to energy plant at scale. For over two years, Green Power Inc has operated a full scale system that has been proven to convert all forms of waste ranging from household, industrial, medical, agricultural along with sewage, liquid waste and or any other solid, it can be used as a feedstock. All waste with hydro carbons, which is nearly everything habitually thrown away in our daily lives with the exception of metal, glass and stones can become high quality fossil free fuels. This fuel can be used straight from the system in a diesel engine, no blending necessary. Green Power Inc. (GPI) specifically produces a process module for the direct conversion of Municipal Solid Waste into liquid Fossil Free Fuels®. GPI accomplishes this with Catalytic Depolymerization in their patented process module. GPI's 100 ton facility produces #2 Diesel Fuel (ASTM D975), Kerosene (jet fuel), and #4 Fuel Oil (ASTM D396) all without harmful by-products. Our process also allows our customers to produce a surplus of electricity. With proof of the technology in the full scale plant in Pasco, WA; GPI is contracted to supply modules for companies worldwide. Simply said, GPI is presently converting waste into fuel. Our penetration domestically has been an area of disappointment for the company. Through strict regulation within the US, the plant is still not allowed to operate full time and we have been asked to move manufacturing overseas. Ultimately this could deprive our local communities the benefit of jobs, reduction of waste in our landfills, an alternative source of fuel (increasing our country’s fuel supply security), and the collateral economic benefits of a viable system such as this. Our Mobile System also allows soldiers overseas to make their own fuel in theater, which eliminates some of the need to bring it in, which will increase their safety ultimately. Green Power Inc feels has not taken any local, State or Federal government funding to build the operational system. The company even stated that it would give back 5% of their profits to local communities to help with their needs because of budget shortfalls. Green Power has also offered discounted fuels for school buses etc. Green Power Inc.’s system is ready at full scale and can be implemented anywhere in the world to provide countries fuel and energy independence out of local resources at a much lower price than regular fuel on the open market. We have the solution check us out at http://www.facebook.com/greenpowerinc or on our website http://www.cleanenergyprojects.com. Don't farmers usually use crop waste as a cheap and useful source of fertilizer when they let fields go fallow. In March 2007, the US government awarded $385 million in grants aimed at jump-starting ethanol production from nontraditional sources like wood chips, switchgrass and citrus peels. Half of the six projects chosen will use thermo-chemical methods and half will use cellulosic ethanol methods. Then the American company Range Fuels announced in July 2007 that it was awarded a construction permit from the state of Georgia to build the first commercial-scale 100-million-gallon-per-year cellulosic ethanol plant in the United States. Construction began in November, 2007. The Range Fuels plant was built in Soperton, GA, but was shut down in January 2011 without ever having produced any ethanol. Did you hear that, after spending millions of dollars they never produced a single drop! It had received a $76 million grant from the US Dept of Energy, plus $6 million from the State of Georgia, plus an $80 million loan guaranteed by the U.S. Biorefinery Assistance Program. These ethanol plants require considerable financial support through grants and subsidies. Why is the government wasting your money on these projects. The free market already provides the ultimate incentive...............Do it right and your a millionaire. And if one does fail at least your money wasn't used to pay for it. It's no different than 30 years ago from President Carter's utterly failed "SynthFuel" program where he thought that coal could be used to make cleaner burning gas which was a miserable failure and ultimately shut down but not after wasting nearly 19 billion of your tax dollars (And that was in 1970's dollars.) Adjusted for inflation that's nearly 59 billion !!! In an effort to reduce our dependency on foreign oil, the U.S. has been working to ramp up its plant-based ethanol production in recent years, and while we're falling short of Congress's 500 million gallon goal for 2012, things are on the up and up. Just this week, the Department of Energy announced a $105 million loan guarantee to build a plant in Iowa that will produce up to 25 million gallons of cellulosic ethanol each year. The plant, being constructed by POET, will be the first commercial-scale of its type, and would work with local farmers to process more than 700 million tons of non-food corn waste into fuel.